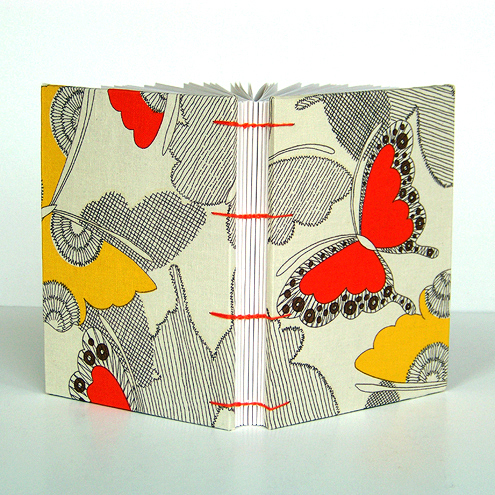 This blank book measures approximately 11x15cm and is covered in butterfly print fabric in orange, yellow and brown with endpapers and stitching in orange. The book has 144 pages (front and back) of hand cut 100% recycled heavyweight cartridge paper, perfect for painting, drawing, pastels and light watercolours. The chain stitched binding allows the book to lie flat at any page.